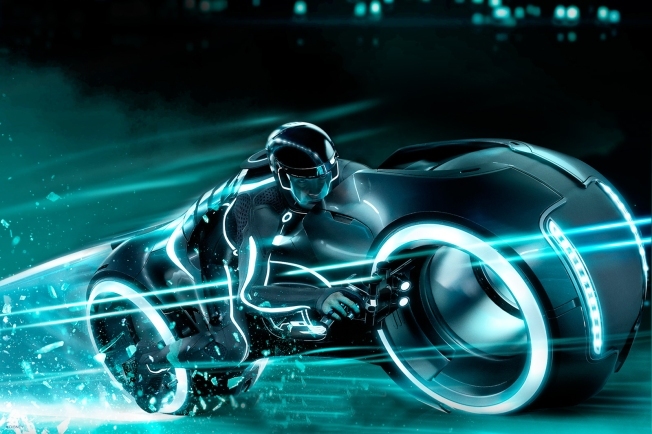 Electronic music and Science Fiction fans around the globe are squealing in delight thanks to the latest clip released by the Disney masterminds responsible for the feature film Tron: Legacy scheduled to hit theaters on December 17, 2010. The two-minute clip features a piece of the Daft Punk track “Derezzed” which is part of film's score, which is slated for release on November 22. This is the first extended taste of the integration of the French duo’s music with the mind-bending visuals of the film. All the hype surrounding Tron: Legacyshould reach a critical mass during this weekend’s Halloween celebrations, so let’s hope the film can deliver. In case you missed it, the Robots made an appearance during last week’s sold out Phoenix concert at Madison Square Garden and Nonstop Sound recapped it here and check out the video for "Derezzed" below.